A New Release From Mocvideo! See 8 hours of awesome footage of the biggest and baddest bodybuilders in the world. Filmed during the last 3 weeks prior to the 2010 Mr Olympia contest. Approx. 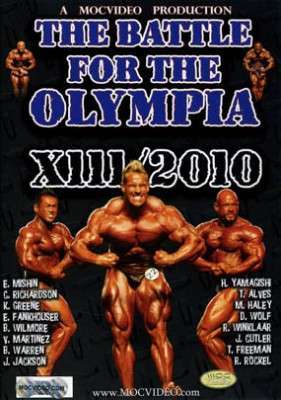 8 hours of top bodybuilding action in this massive 3 DVD Set! A New Release From Mocvideo! See 8 hours of awesome footage of the biggest and baddest bodybuilders in the world. Filmed during the last 3 weeks prior to the 2010 Mr Olympia contest. Starting in New York at Bev Francis’ “East Coast Mecca” Powerhouse Gym with Kai Greene and Eugene Mishin, all the way to Las Vegas with Dennis Wolf and Jay Cutler.